LONDON, April 2, 2019 /PRNewswire/ -- Cobalt demand has grown by 21% between 2016 and 2018 and CRU forecasts that it will increase a further 55% out to 2023, due to the increasing uptake of electric vehicles. Currently, the majority of the cobalt supply comes from the DRC (Democratic Republic of Congo) where, in addition to the large-scale global mining companies, artisanal miners utilise small pockets of land not owned by large-scale miners to produce cobalt. It is believed that as many as 100,000 diggers, sorters and washers are involved in the artisanal mining trade in the DRC. Artisanal miners often work independently and sell their ore to local co-operatives, who sell it to local merchants and traders, who in turn sell to international traders. When done correctly, artisanal mining can be an ethical source of low-cost, high-grade cobalt which also puts income directly into the hands of locals with very few alternative options available to them. Artisanal mining in the DRC has increased dramatically between 2016 and 2018 on the back of strong demand growth and rising prices. Artisanal mining has been key in satisfying skyrocketing cobalt demand in recent years. However, the practice raises many ethical concerns. Child labour is rampant in the artisanal mining sector, as many regions suffer from abject poverty and lack a functioning schooling system – in 2014, UNICEF estimated that 40,000 children were involved in artisanal mining of all commodities produced in the DRC. As a result, Western companies have sought to distance themselves from artisanal cobalt supply in the past to forego the risk of inadvertently using raw materials sourced from child labour. The low wealth generated by these practices has also come under scrutiny. Traders of artisanal cobalt concentrates will typically sell material for around 40-50% of its cobalt value, while the artisanal miners will typically only receive 1-3% of the intrinsic value of their ore. A lack of reliable information and the complexity of the supply chain makes artisanal mining far more challenging to track as a source of cobalt supply than traditional mining sources. Can Blockchain provide a traceability solution? 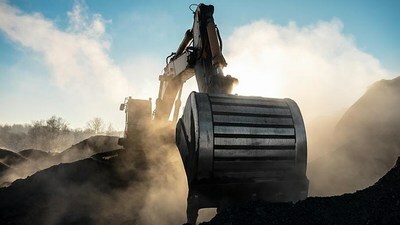 Blockchain technology can increase transparency in mineral supply chains and provide a traceability solution, while reducing the need to have a one central owner of the database. A Blockchain system starts with a mine site audit to check there is no child labour. Once the audit is passed, the mines are given 'approved bags' with bar codes into which the ore is placed before sealing and being passed to merchants and traders. The bar codes can be scanned at any point, and the ore's journey can be tracked on a public ledger which is where the Blockchain comes in.